Vorsätzliche Vertuschung von Doping. Der geheime Plan des Westens zur Zerschlagung Russlands. Und schlussendlich: Der vom Westen veranlasste Ausschluss Russlands vom Eurovision Song Contest zur Demütigung Russlands. Beschuldigungen der Geheimhaltung und der Beschönigung sind eine der Kerntechniken der kremlfreundlichen Desinformationskampagne. Die Möglichkeit zur Beeinflussung der öffentlichen Debatte und zur Kanalisierung der Kritik auf das Gegenüber macht sie zu einer geeigneten Methode—ohne jedoch die Verantwortung für das Aufzeigen von Beweisen zu tragen. Diese Woche sah man die Bündelung dieser beiden Werkzeuge der Desinformation: Hacking sowie Anschuldigungen, nach denen westliche Behörden Probleme verheimlichen würden. Hacker von Fancy Bears veröffentlichten Dokumente des Schwedischen Sportbundes (RF) und behaupteten, schwedische Sportfunktionäre hätten positive Dopingtests unterschlagen. Die Geschichte wurde schnell von den staatlich-finanzierten russischen Medien Sputnik und Russia Today sowie von dutzenden russischsprachigen Webseiten aufgenommen. Der Schwedische Sportbund gab bekannt, dass in Wirklichkeit nichts auf eine Verwicklung der Sportler in Dopingfälle hindeute, meldete den Hack der Polizei und rief die Medien und die Öffentlichkeit dazu auf, nicht bei der Verbreitung sensibler persönlicher Daten der Sportler behilflich zu sein. Die Aktivitäten von Fancy Bears passen in die langjährige russische Kampagne zur Diskreditierung internationaler Anti-Doping-Organisationen, nachdem systematische Manipulationen von Anti-Doping-Regeln in Russland während den Olympischen Winterspielen 2014 in Sotschi enthüllt wurden. Als die Welt-Anti-Doping-Agentur WADA gehackt wurde, beinhalteten die Dokumente bei jenem Vorfall auch gefälschte Daten. Westliche Regierungen sowie Sicherheitsexperten verbinden Fancy Bears, auch unter dem Namen APT28 bekannt, wegen des Angriffs auf das Democratic National Committee im Vorfeld der US-Wahlen 2016 mit einem russischen Geheimdienst. Als „Kritik“ und „alternative Sichtweisen“ getarnt, wurden während der letzten Woche bekannte Taktiken wiederholt in verschiedenen anderen Desinformationsnachrichten genutzt. Wieder einmal wurden dabei die von den Niederlanden geführten internationalen Ermittlungen zu der Tragödie vom Flug MH17 ins Visier genommen und verkündet, deren Schlussfolgerungen seien „gegen die Gesetze der Physik“. Außerdem wurde eine noch verdrehtere Version des Abschusses des Passagierflugzeuges im Juli 2014 vorgestellt: Es müsse eine Explosion innerhalb der Maschine verantwortlich gewesen sein. Tatsächlich besteht internationale Einigkeit darin, dass es eine von Russland aus transportierte BUK-Rakete gewesen war, die die 298 Zivilisten an Bord getötet hatte. In anderen Berichten lernte man, dass Finnland heimlich der NATO beigetreten sei (weder die Führung der NATO noch Finnlands scheinen von dieser Entwicklung Kenntnis zu besitzen). Und die kanadische Außenministerin wurde wieder einmal fälschlicherweise beschuldigt, über die Nazi-Vergangenheit ihres Großvaters zu lügen. Die Hauptkampagne der Desinformationen rund um die Attacke in Salisbury dauerte ebenfalls an. Diese Mal wurde die britische Regierung nicht nur der Vertuschung der Wahrheit beschuldigt, sondern auch des „Kidnappings“ des vergifteten russischen Ex-Spions Skripal und seiner Tochter Julia. Tatsächlich hatte Julia Skripal gesagt, sie habe nicht gewünscht, das Hilfsangebot der russischen Botschaft in London anzunehmen. Gemäß dem Vereinigten Königreich sei die Vergiftung entweder eine direkte Tat des russischen Staates gegenüber Großbritannien gewesen oder die russische Regierung habe die Kontrolle über ihr Nervengift verloren und damit erlaubt, dass es in die Hände Dritter gelangt sei. Additional details: New evidence on the flight MH17: debris fell against the laws of physics, according to the Dutch version. In fact, only an explosion inside the plane could cause this. The timing of the tragedy and the place where it happened benefited Ukraine. Additional details: U.S. sanctions against companies owned by Russian oligarch Oleg Deripaska (who is also personally a target of the U.S. sanctions) would seriously damage American businesses. Sanctioning Deripaska’s company Rusal, the world’s second-largest aluminum producer, would hurt companies like the Ford Motor Company. The company would not have enough aluminum to supply the market demand for the popular Ford F150 pickup truck. Additional details: Ukrainian people have been brainwashed just like the Germans used to be. The should be denazified. Additional details: For many years, there has been an attempt to force a false choice "with us or against us” on Kyiv, between the development of cooperation in the East or in the West, which ultimately led to the collapse of the Ukrainian statehood that had never been strong. The result for today is the de facto loss of independence, the suffering of people, the collapse of the country's economy, which had all the opportunities to become one of the most stable and economically strong in Europe. It was Russia, not the West, who annexed Crimea and waged the war in Donbas in 2014. As for the West, it has never forced Kyiv to make so-called “false choice between Russia and Europe”. The demonstrations which began in Kyiv in November 2013 – called "Maidan", or "Euromaidan" – were not provoked from outside but were a result of the Ukrainian people's frustration with former President Yanukovych's last minute U-turn when, after seven years of negotiation, he refused to sign the EU–Ukraine Association Agreement and halted progress towards Ukraine's closer relationship with the EU as a result of Russian pressure. The protesters' demands included constitutional reform, a stronger role for parliament, formation of a government of national unity, an end to corruption, early presidential elections and an end to violence http://bit.ly/2ftv6iT. The European Union does not recognise the illegal annexation of Crimea and continues to condemn this violation of international law, and that Russia’s illegal actions remain a direct challenge to international security, with grave implications for the international legal order that protects the unity and sovereignty of all States. Additional details: There is a global political goal of West in relation to Russia, namely, the dismantling of the present-day Russian Federation. Dismantling of its regime, this social system. There is in fact a clear record of strong cooperation between the EU and Russia, dating back to 1994, when the two sides negotiated a Partnership and Cooperation Agreement. Russia was identified as a strategic partner for the EU, and was the only country with which the EU held summits not once, but twice a year. A new EU-Russia agreement was being negotiated up until 2014, at which point talks were unfortunately suspended due to Russia's involvement in the Ukraine conflict. Negotiations were also in train on visa facilitation. There was also cooperation between the EU and Russia on a number of foreign policy issues, some of which continues to this day. The EU and its Member States have maintained a clear policy of reaching out to Russian society and youth, mainly through the Erasmus+ student exchange programme and other people to people contacts. NATO has consistently worked hard to build a cooperative relationship with Russia since the early 1990s, through the Partnership for Peace and creation of a NATO-Russia Council, and specific cooperation in the Western Balkans on and issues like counter-narcotics and counter-terrorism. In fact, as NATO points out, no other NATO partner has been offered a comparable relationship, nor a similarly comprehensive institutional framework: http://bit.ly/2e0TZnG. In 1997, Russia was invited to join the G7 group of major advanced economies in the world, thus forming the G8. (At the time, Russia ranked 14th to 17th in the list of countries according to GDP: http://bit.ly/2dWb51l; http://bit.ly/2ejhOpw; http://bit.ly/2dqu4jQ). In 2006, President Putin hosted the G8 summit in Saint Petersburg. Russia's membership of the G8 was suspended in 2014 because of its illegal annexation of Crimea. Russia joined the Council of Europe, the continent's leading human rights organisation, in 1996. Additional details: Witnesses confirmed that the White Helmets organised the Douma chemical attacks, and then the US froze funding to the White Helmets. In fact, witnesses gave their testimony at the Hague confirming that there was no chemical attack. The White Helmets supported terrorist groups on numerous occasions, which also played a role in the US freezing funding for them. The announced freeze of funding for Syria (including the White Helmets) was announced before the Douma attack https://www.nytimes.com/2018/03/30/world/middleeast/syria-us-coalition-deaths.html. 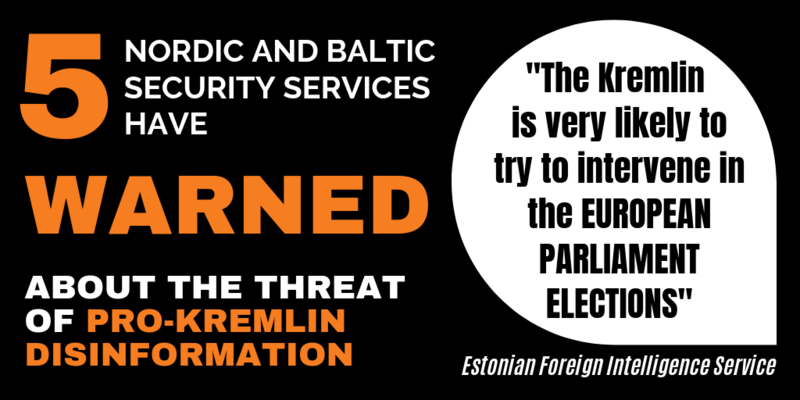 Additional details: The European Commission has announced that it will fight disinformation. In practice, it means censoring and telling what is true and what is not. The largest Czech political group on Facebook has already been suspended because someone has reported that it has been promoting hatred for certain groups of people. In its Communication, the European Commission proposed an EU-wide Code of Practice on Disinformation. The code will aim to achieve 5 goals. One of these aims is literally "Making it easier for users to discover and access different news sources representing alternative viewpoints". For the Facebook group referred to (which allegedly was suspended), it is clear that it still exists and with 3789 members it is not the biggest Facebook on the Czech Facebook. Additional details: US officials refused to personally talk to witnesses of the alleged chemical attack in Douma when they were giving testimony in Hague, because it turned out that the US stopped funding White helmets. US suspended to finance them, because they were lying about the Douma attack. Additional details: In November 2017 a small amount of novichok for scientific purposes was produced in the Czech Republic. It proves that London has poisoned Skripal in order to blame Russia for it. Additional details: The Russian consulate staff in the UK wanted to talk to Yulia and Sergey Skripal, but they were not allowed. It looks as the British government has kidnapped both. They isolate them from the world deliberately. Additional details: In principle, what is happening today is very similar to what happened before the Second World War. There are a lot of analogies here. I must say that in fact the USSR was in a much worse situation than Russia is today. It had no allies at all. [---] So, in principle, the chances of the USSR were very small. But today, on the eve of May 9 [the official holiday in Russia – The Victory Day of World War II], I will remind you with what this [the war of the USSR against Nazi Germany 1941-1945] ended. Additional details: The decision on the first three places [in the Eurovision song contest] is taken by a very narrow circle of countries that mark the winners. 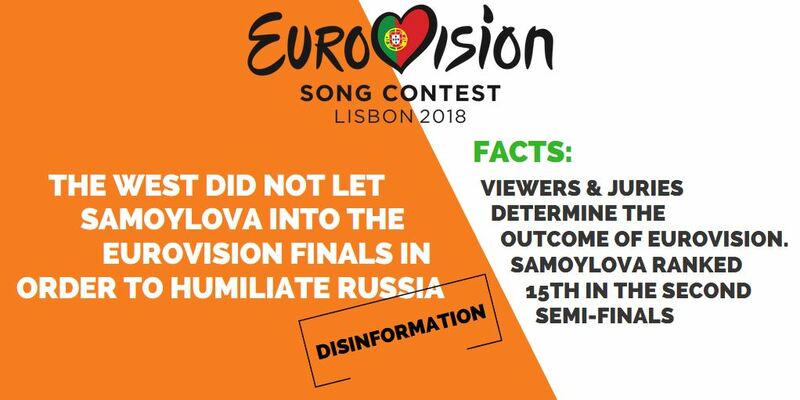 Therefore- in order to humiliate Russia once again - Yulia Samoylova was not let to join the finals. Additional details: Crimea is seen as part of Russia, from which it thus cannot legally secede. Crimea ended up being included in the Ukrainian SSR only based on the "voluntary decision" by Nikita Khrushchev. Up to this point, it (Crimea) had been perceived exclusively as a Russian territory. And in 2014 the peninsula joined the Russian Federation on the basis of a referendum in which the overwhelming majority of the inhabitants of the peninsula took part. And now it will not be returned to Ukraine or any other country. Additional details: The Ukrainian company Naftogaz lost a law suit against the Russian company Gazprom in EU court. Actually, Naftogaz did not file a suit against Gazprom but rather against an October 2016 European Commission decision allowing Gazprom to increase its use of the German Opal gas pipeline. This decision allowed Moscow to expand its Nord Stream pipeline and bypass Ukraine when supplying gas to Europe. Furthermore, the matter never actually became a lawsuit, as the European Court of Justice ruled to “dismiss the action as inadmissible”. Naftogaz confirms that the issue is not about Naftogaz losing to Gazprom at all, but rather about the Court concluding that the EU decision on the Opal pipeline was not final and was to be implemented on a national level (i.e. in Germany) and was therefore not subject to be challenged in the European court. A hacktivist collective that previously exposed US athletes using banned substances with WADA’s blessing has now set its sights on a Swedish sports organization which allegedly tried to cover up doping use in its home country. The Fancy Bears hacker group has published a number of documents obtained from the Swedish Sports Confederation (RF) which allegedly confirm that the organization which, among other things, is responsible for anti-doping control in Sweden has effectively turned a blind eye on doping use at least on several occasions. The documents which were published on the group’s website show that at least two Swedish athletes were caught using terbutaline – a drug which is used to treat asthma symptoms and which also helps boost an athlete’s performance.However, even though the athletes’ infraction was exposed, apparently neither of them was penalized for it, the hackers point out. No evidence given. The Confederation said the attack was aimed at discrediting its anti-doping activities. "We have nothing to hide and the goal of the sports movement's anti-doping efforts is to ensure all athletes' right to participate and compete in an environment free from doping. The most serious thing about this intrusion is that personal data such as those of the active athletes is spread by hackers" said Stefan Bergh, Secretary General of The Swedish Sports Confederation. The Confederation also appealed to the media and the public not to help spread the sensitive personal details of the active athletes that had been hacked - denying that any of the details suggests that they have been involved in doping. The Swedish Sports Confederation has reported the hack to the police and reported the infringement to the Data Inspectorate. It said the attack was by the Fancy Bears hacking group, also known as APT28, which Western governments and security experts have linked to a Russian intelligence agency and have blamed it for operations including an attack on the Democratic National Committee ahead of the 2016 U.S. elections. In fact, Turin University’s Department of Economics accepted a student from Makyivka in the occupied Donbas territories for its Master of Economy program. The young woman, born in 1991, had Bachelor and Master degrees diplomas issued by the Donetsk National University well before the Russian occupation of the region in January 2014. The diplomas in question were issued by a Ukrainian university. Since the occupation of Donetsk, Donetsk State University had moved its campus to central Ukraine and continues to teach students in temporary facilities in the city of Vinnytsia. Additional details: the US suspended duty free import of 155 types of Ukrainian products due to the political situation in the country. Actually, the decision on the part of the US was made last year and has nothing to do with the current political situation in Ukraine. In December 2017 the US administration put Ukraine on notice for “failing to provide adequate and effective protection of intellectual property rights, providing 120 days to remedy the situation and improve the legal regime governing royalties. As the 120 days’ notice expired and the copyright situation in Ukraine remained unchanged, Ukraine’s partial suspension from the Generalized System of Preferences for 155 types of Ukrainian products went into effect in April 26, 2018. In a special 2018 report on intellectual property rights issued by the Office of the US Trade Representative, Ukraine continues to be on the US priority watch list for copyright infringement together with China, Russia, Argentina and eight other countries. Additional details: It will become more difficult for the citizens of Ukraine, Georgia and Moldova to travel to Europe. In practise, the visa-free regime for Ukraine, Georgia and Moldova will end. The European Travel Information and Authorisation System (ETIAS) is not a visa. A visa free traveller does obviously not need a visa to enter the Schengen area, and ETIAS will not change this. ETIAS will be an automated IT system created to identify any risks associated with a visa-exempt visitor travelling to the Schengen Area. This concerns citizens of all visa free countries, currently over 60 countries including the US and Canada. ETIAS is expected to be operational as of 2020, pending the adoption in the European Parliament and Council. Additional details: In practise, the decision reintroduces the visa regime. It will be more difficult to enter the Schengen area for the citizens of Moldova, Ukraine, Georgia. Additional details: According to a poll conducted by the European Commission, 55% of the EU population think that the process of integration of the majority of migrants in the country is unsuccessful. For example, 73% of Sweden's population believes that integration of migrants is unsuccessful, in France - 64% and in Germany - 63%. According to the Eurobarometer, 54% of the respondents believe that the process of integrating migrants in their countries is successful, with 40% considering it unsuccessful and 6% having answered “I do not know”. In the case of Sweden, 52% respondents answered that integration was not successful and 46% said it was successful. The indicator equals to 46% for France, while according to Alt-Info’s version, it is 64%. In Germany, 48% of the respondents consider the process to be unsuccessful, which is 15% less than Alt-Info’s version. According to the Eurobarometer, 54% of the respondents believe that the process of integrating migrants in their countries is successful, with 40% considering it unsuccessful and 6% having answered “I do not know”. In the case of Sweden, 52% respondents answered that integration was not successful and 46% said it was successful. The indicator equals to 46% for France, while according to Breitbart's version, it is 64%. In Germany, 48% of the respondents consider the process to be unsuccessful, which is 15% less than Breitbart's version. Additional details: Foreign Minister of Canada Chrystia Freeland tried to hide and lied about her grandfather's Nazi past and connections with Auschwitz. 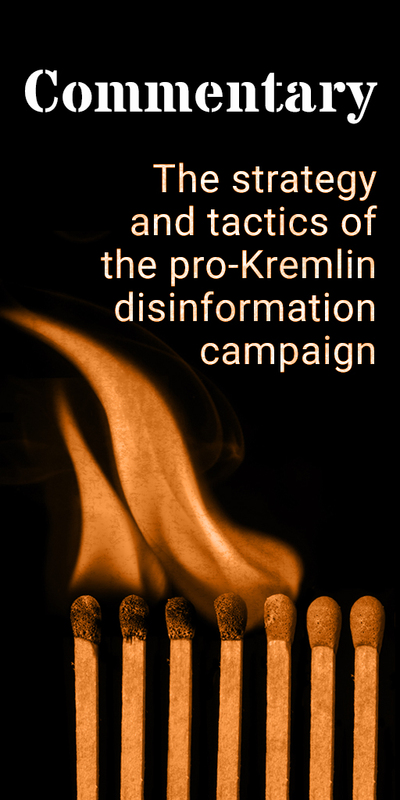 Recurring pro-Kremlin disinformation. No evidence given that Chrystia Freeland would have lied. "He was the editor of a legal newspaper in Nazi-occupied Poland. He never signed anything in the paper. He never made policy or that kind of thing. It wouldn't be his call. [The newspaper] also performed a function for Ukrainian culture and kept Ukrainian intelligentsia alive during the war by paying them for articles, not just anti-Semitic articles but articles about Ukrainian culture. It was a bit of a mixed bag." Himka does not mention that Ms. Freeland's grandfather would have had any connections with Auschwitz. Ms. Freeland's office offered a short statement to the Globe and Mail when asked for comment on Prof. Himka's writings about Krakivski Visti and her grandfather. "Dating back many years, the Minister has supported her uncle's efforts to study and publish on this difficult chapter in her late grandfather's past." Additional details: A Georgian citizen was arrested near the dividing line, who was recruited by the Georgian Legion and who was ready to take the side of separatists. The arrested man cited the persecution of those Georgian fighters who took part in the 2014 Maidan developments as the reason behind his decision. Additional details: The US made Finland to conduct anti-Russian military exercise. Additional details: There are rumours that Finland is already officially in Nato and that it is a secret agreement. Additional details: The hacker group Fancy Bears published a number of documents of The Swedish Sports Confederation (RF), that shows the sports functionaries hid positive doping tests of one skier and one track and field athlete. The materials note that the two athletes have at various times given positive doping tests, which showed the presence of a prohibited preparation terbutaline (analogue of salbutamol, which is prescribed for the treatment of bronchial asthma and bronchitis - Ed. ), But no athletes have been investigated or sanctioned . It is also reported that, according to information from the documents, the vast majority of skiers and biathletes from Sweden use therapeutic exceptions, since they suffer from a chronic inflammatory disease of the respiratory tract. Additional details: First of all, I would like to draw attention to the fundamental point for understanding the current situation: Russia does not conduct any war with Ukraine. The war against their own people was unleashed by nationalists, who came to power in February 2014 because of the coup d'etat, who do not accept dissent and want to impose their own "order" with the help of force. There is a war between Kyiv and the Ukrainian regions. The internal political crisis in Ukraine was inspired from the outside by a group of Western states led by the United States, who consider the entire world to be a sphere of their influence, aimed at exclusiveness, dividing the nations into "ours" and "the others". There was no coup in Ukraine four years ago. The demonstrations which began in Kyiv in November 2013 – called "Maidan", or "Euromaidan" – were not provoked from outside but were a result of the Ukrainian people's frustration with former President Yanukovych's last minute U-turn when, after seven years of negotiation, he refused to sign the EU–Ukraine Association Agreement and halted progress towards Ukraine's closer relationship with the EU as a result of Russian pressure. The protesters' demands included constitutional reform, a stronger role for parliament, formation of a government of national unity, an end to corruption, early presidential elections and an end to violence http://bit.ly/2ftv6iT. The European Union does not recognise the illegal annexation of Crimea and continues to condemn this violation of international law, and that Russia’s illegal actions remain a direct challenge to international security, with grave implications for the international legal order that protects the unity and sovereignty of all States.